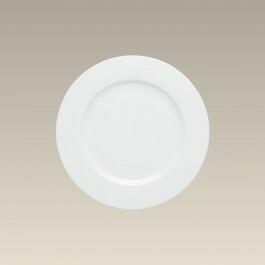 This is the perfect sized porcelain rim shaped salad plate. It measures 7.5" in diameter. It has a full range of matching sizes and shapes available. Made in Czech Republic, it's dishwasher and microwave safe. Rim Shape Pasta Bowl, 12"